Twenty-six houses were scattered across the floor and up both sides of the valley. Ginger, taro, corn, okra, cucumbers, squash, broccoli, brussel sprouts, tomatoes, radishes, sweet potatoes, Irish potatoes, lima beans, black-eye peas, papayas, plums, mountain apples, grapes, oranges, bananas, lemons, passion fruit and blackberries were planted in small clearings. “The County doesn’t like what I’m doing”, said Joseph, who has allowed all comers to live on his land and build their dwellings according to personal taste. Faced with fines nearing $15,000 and two years in jail on 28 violations of building codes, land use laws and health regulations, Joseph felt it was time to sell. His public defender attorney, Phil Lowenthal bought the property. Joseph described the closing of the Banana Patch as “an insane disgrace of political power on the part of the Mayor” and “a blow to freedom” which would “do more harm than good”. On May 31, 1858, H Holdsworth, Richard Armstrong, Amos Cooke, G Robertson, MB Beckwith and FS Lyman (shareholders in Castle & Cooke) met to consider the initiation of a sugar plantation at Haiku on Maui. Shortly after (November 20, 1858,) the Privy Council authorized the Minister of the Interior to grant a charter of incorporation to them for the Haiku Sugar Company. At the time, there were only ten sugar companies in the Kingdom of Hawaiʻi. Five of these sugar companies were on the island of Maui, but only two were in operation. The five were: East Maui Plantation at Kaluanui, Brewer Plantation at Haliimaile, LL Torbert and Captain James Makee’s plantation at ʻUlupalakua, Hāna and Haiku Plantation. The mill, on the east bank of Maliko Gulch, was completed in 1861; 600-acres of cane the company had under cultivation yielded 260 tons of sugar and 32,015 gallons of molasses. 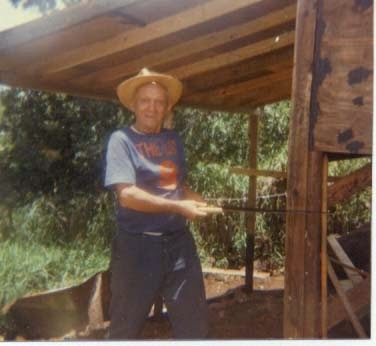 Over the years the company procured new equipment for the mill. Using the leading edge technology of the time, the Haiku Sugar Mill was, reportedly, the first sugarcane mill in Hawaiʻi that used a steam engine to grind the cane. Their cane was completely at the mercy of the weather and rainfall; yield fluctuated considerably. For example it went from 970-tons in 1876 to 171-tons in 1877. 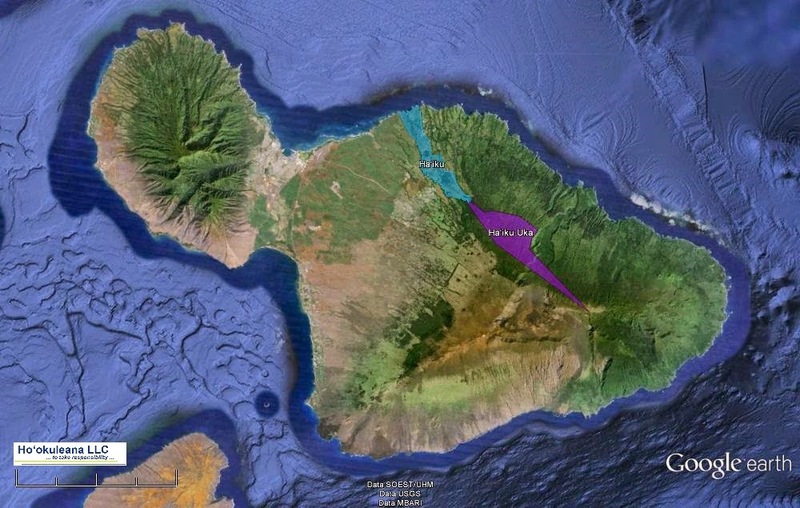 With the completion of the ditch, the majority of Haiku Plantation’s crops were grown on the west side of Maliko gulch. 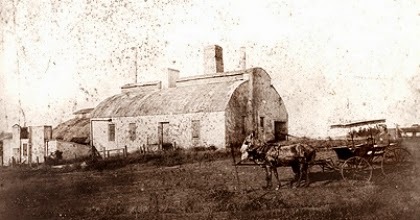 As a result in 1879 Haiku mill was abandoned and its operations were transferred to Hāmākuapoko where a new factory was erected, which had more convenient access to the new sugar fields. Other ditches were later added to the system, with five ditches at different levels used to convey the water to the cane fields on the isthmus of Maui. 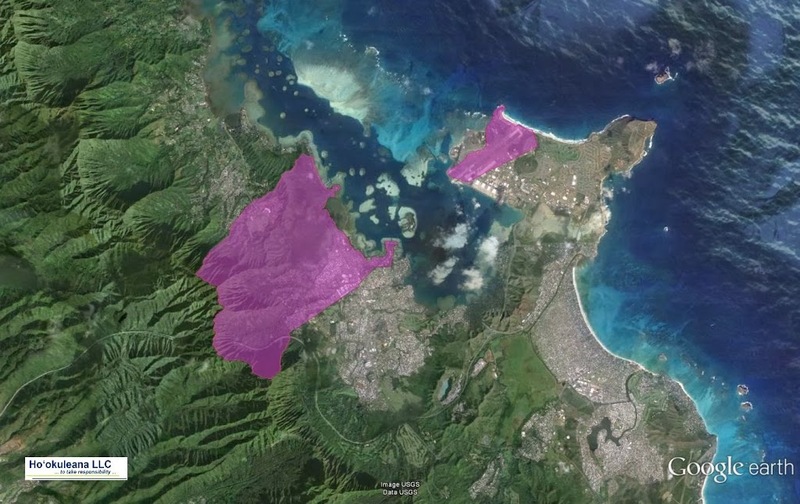 In order of elevation they are Haiku, Lowrie, Old Hāmākua, New Hāmākua, and Kailuanui ditches. The “Old” Hāmākua Ditch was the forerunner to the East Maui Irrigation System. This privately financed, constructed and managed irrigation system was one of the largest in the United States. It eventually included 50 miles of tunnels; 24 miles of open ditches, inverted siphons and flumes; and approximately 400 intakes and 8 reservoirs. Although two missionaries (Richard Armstrong and Amos Cooke) established the Haiku Sugar Company in 1858, its commercial success was due to a second-generation missionary descendant, Henry Perrine Baldwin. In 1877, Baldwin constructed a sugar mill on the west side of Maliko Gulch, named the Hāmākuapoko Mill. Baldwin moved from Lāhainā to Hāmākuapoko, he first lived in Sunnyside, in the area of upper Pāʻia, and then moved further “upcountry,” building a family estate at Maluhia, in the area of Olinda. Brothers Henry Perrine and David Dwight Baldwin laid the foundation for the company in the late 1800s through the acquisition of land. Experimentation with hala kahiki (pineapple) began in 1890, when the first fruit was planted in Haʻiku. In 1903 the Baldwin brothers formed Haiku Fruit & Packing Company, launching the pineapple industry on Maui. Maui’s first pineapple cannery began operations by 1904, with the construction of a can-making plant and a cannery in Haiku. The mill operated for eighteen years, from 1861-1879, and then was abandoned. The original structure was 50′ in front by 160′ deep. The front portion measured 50′ x 50′ and rose two stories in height, while the remainder of the structure had ten foot high walls enclosing an excavated interior, with a wooden floor (no longer intact) running the length on either side. The image shows the former Haiku Plantation Mill. In addition, I have added other related images in a folder of like name in the Photos section on my Facebook and Google+ pages.